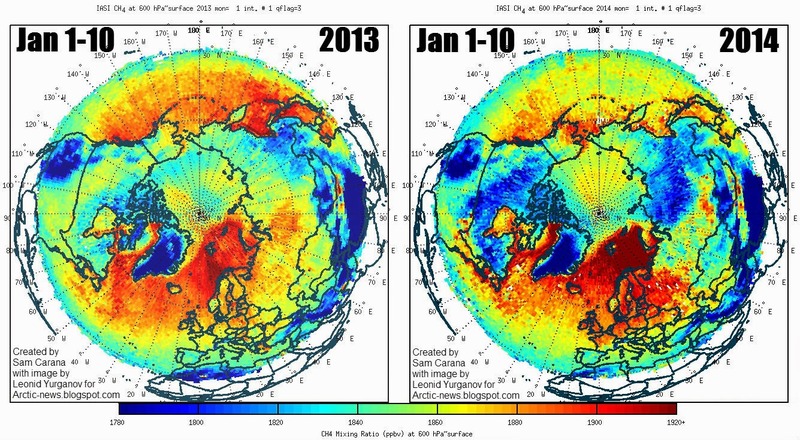 If I remember correctly, 2013 broke with a fast methane release from Svalbard area generally and then an expansion of methane anomaly to Barents Sea shelf adjacent the abyss; Now the overall picture of Methane levels above 1950 parts per billion as viewed from N Polar View comparing 1st 1/3 of January 2013 to 2014 makes me shudder.. It makes me think there must be a mitigating circumstance or error. Note that methanetracker unifies readings in a more or less cumulative way. This is a good way to higlight differences in occurence of 1950+ ppb readings between early 2013 and 2014. Meanwhile, I've also added a comparison of images by Dr. Leonid Yurganov which are created in a different way. 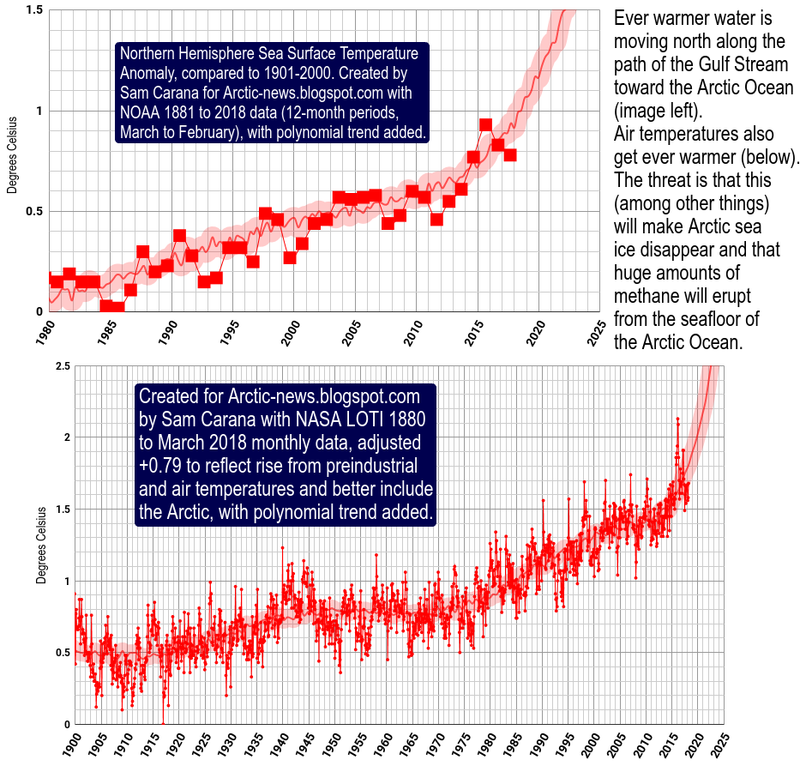 As I understand, Dr. Yurganov uses the IASI data to calculate average methane values over a period, and fits the resulting data in a range from 1780 to 1920+ ppb. 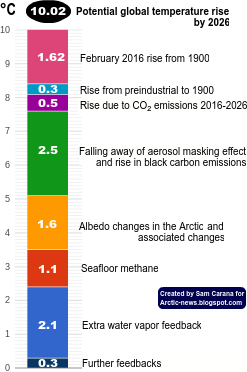 While this makes the overall difference look less marked, it nonetheless confirms high concentrations of methane over the Barents Sea in early 2014 originating - as described in earlier posts - from the depth of the Arctic Ocean. Methane tracker does not contain the full set of mb layers with CH4 readings above 1950 ppb during January 1-11, 2013 since they were not all collected at that time. Thus, part of the CH4 difference in the above images is the lack of full comparative data - the mb layers available in 2013 vs 2014. 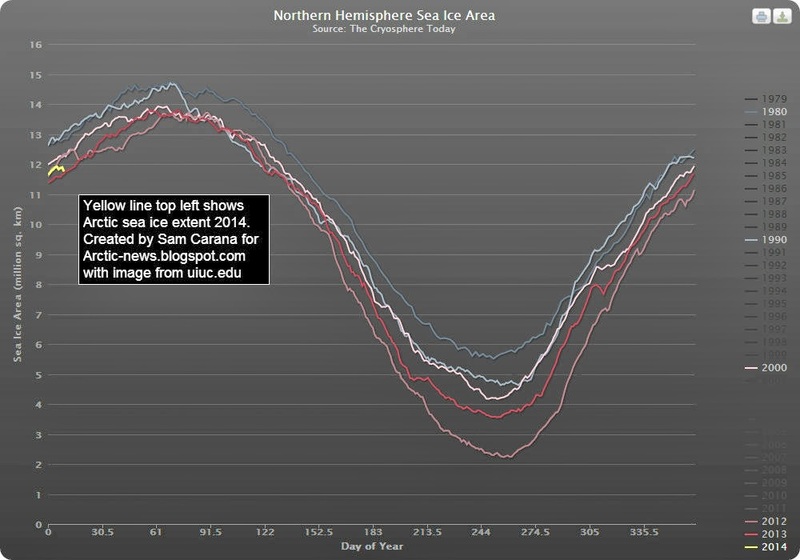 To get a true comparison, one would have to capture the exact same layers available in 2013 to compare with 2014 by each 12 hour period between January 1-11. I provided the initial IASI imagery that created the historical layers prior to Methanetracker going live, so am acutely aware of that gap. I wish I had collected more - the way I do currently. Thanks A4R, I take your point that more layers are available now than in early 2013. 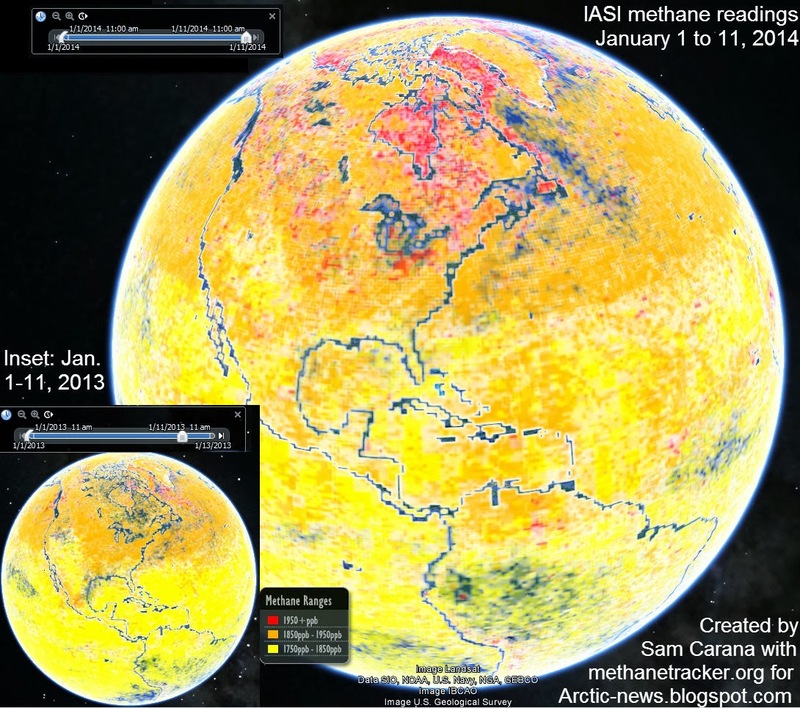 I don't think this is distorting the comparison too much, since methane typically features most prominently at the layers you collected, but it is indeed something to keep in mind. 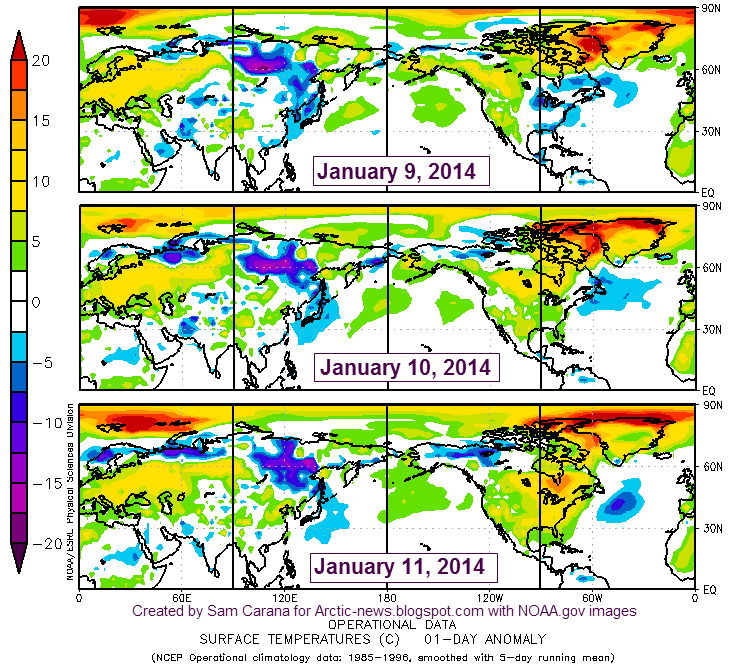 It will be interesting to further follow how events will unfold in 2014 compared to 2013, as major releases emerged over the Arctic Ocean later in January 2013, and also in March/April 2013, while the current high releases started in October 2013 and are still continuing today.